Treat yourself to a summer break for less - 20% off from July 14 to 21! 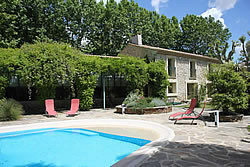 A roomy modern villa in a charming Minervois village, with garden and private swimming pool. Private parking, sweeping views, four bedrooms, two bathrooms, sleeps eight, ideal for two families, broadband internet access. Enjoy peace and quiet in this tranquil hideaway offering superb accommodation, and treat yourself to a relaxing holiday to recharge the batteries. The house sleeps eight guests in four bedrooms, each with its own en-suite bath or shower room. Private swimming pool, terraces, garden, WiFi. Special prices for smaller parties - see property page for more details! A converted winery, set in its own private garden, with swimming pool. Spacious and furnished to a high standard, four bedrooms, three bathooms, sleeps eight. Broadband internet access (WiFi). 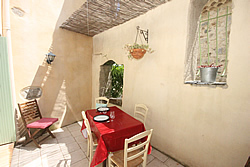 Special prices for less than 8 Persons - see property page for more details! Price reductions for smaller groups - see property page for more details! Relax in peace and luxury at Le Boutes. This house provides spacious and elegant accommodation, surrounded by large mature gardens. Swimming pool, sleeps eight plus two children in five bedrooms. Broadband internet access (WiFi). 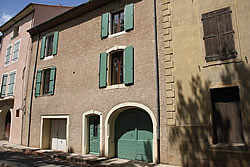 A double fronted property overlooking the river in Saint Chinian. 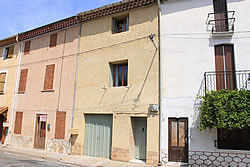 Close to the centre and arranged over three floors, thiss property offers spacious accommodation for six persons. Private courtyard terrace, three bedrooms, three bathrooms.